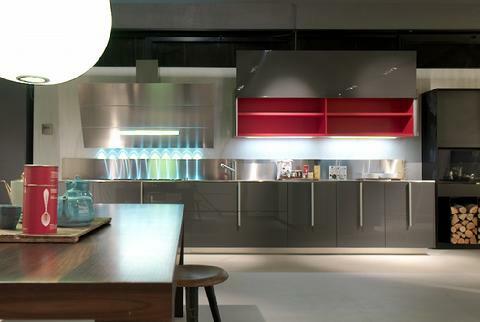 Bk2 - Red Star Cabinet Co., Inc.
BK2 is also part of BK collection by the Buratti Brothers, introduced at EuroCucina in Milan. 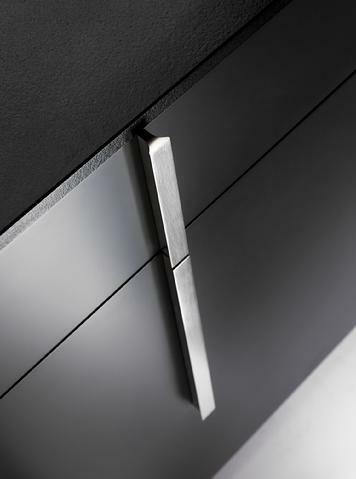 This line features a cast aluminum vertical ‘blade’ pull with a powder-coated finish to match the selected cabinet color. 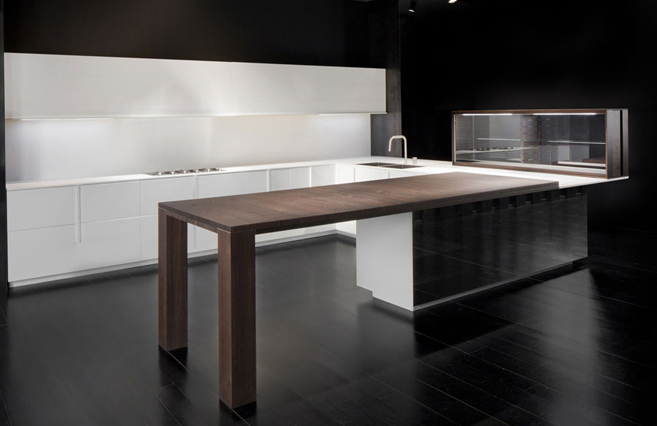 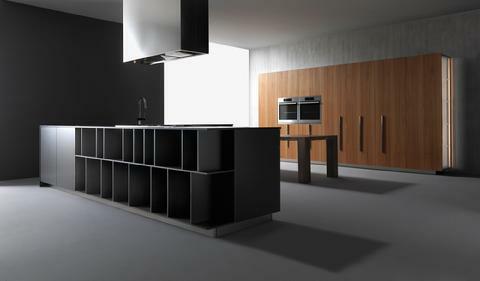 Minimal, pure, rigorous and sophisticated, characterized by the vertical handle and its sophisticated design. 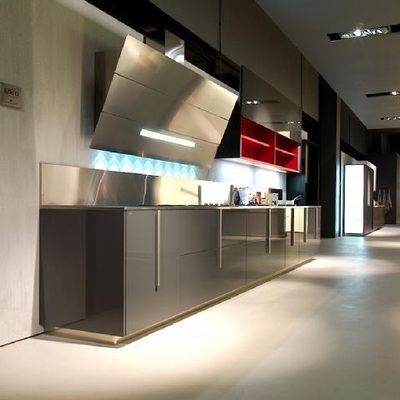 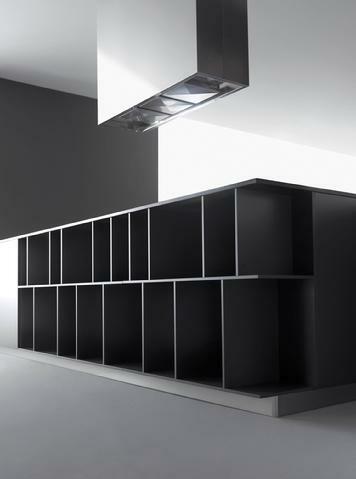 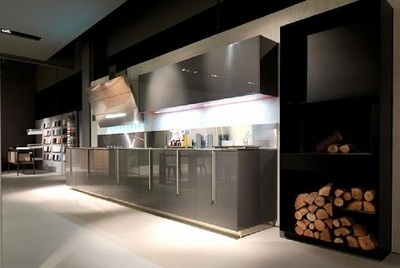 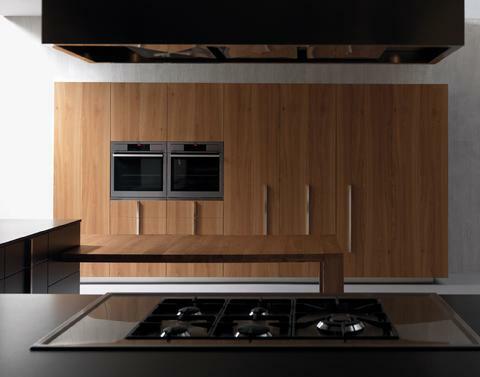 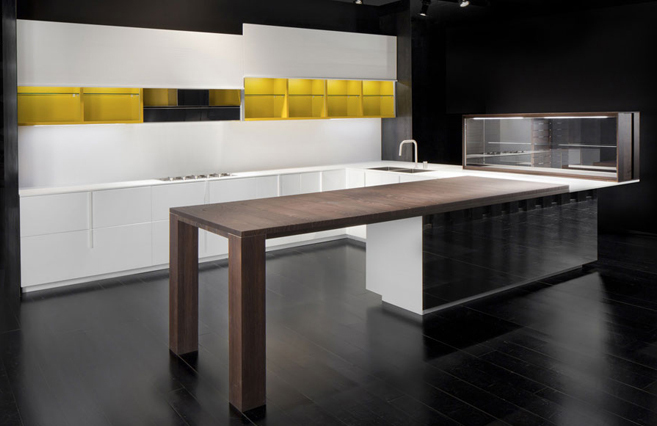 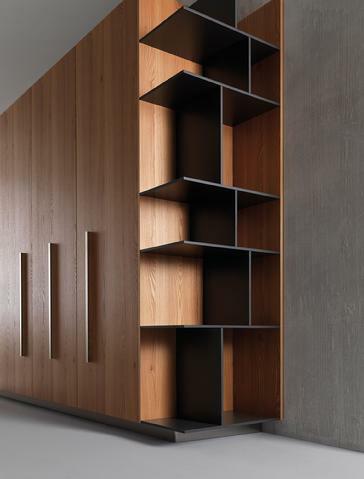 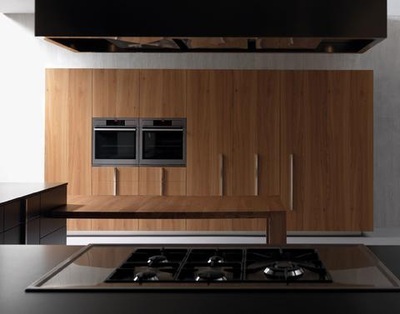 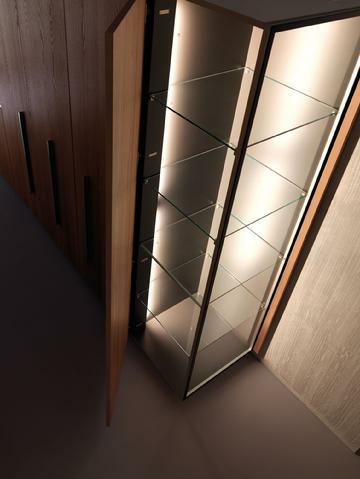 The large horizontal wall cupboards with a vertical opening can be fitted with a hood inside, glass shelves, lights and colored lacquer interior. 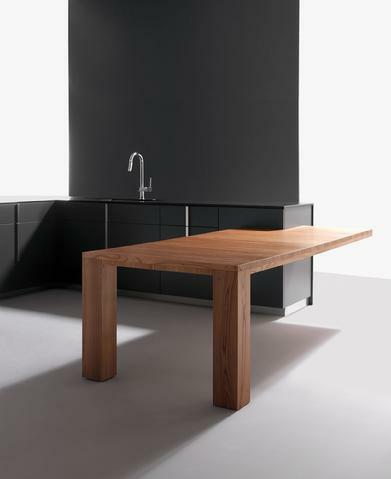 The island table is made of thermo treated chestnut with cross slats.